Debora A. Concepcion is a partner in the firm and a member of Parker Scheer’s Real Estate Practice Group and Tort Litigation Practice Group. In her real estate practice, Debora represents buyers, sellers, and lenders in all aspects of residential real estate transactions. In her practice as a litigation attorney, Debora has 14 years of experience handling a wide variety of complex personal injury cases as both lead counsel and co-counsel. Debora has participated in and successfully resolved some of the firm’s most significant cases. Debora is a zealous advocate who has a strong interest in the medical malpractice area of the law. She enjoys working on cases, which allow her the opportunity to make a real difference in the life of her clients. 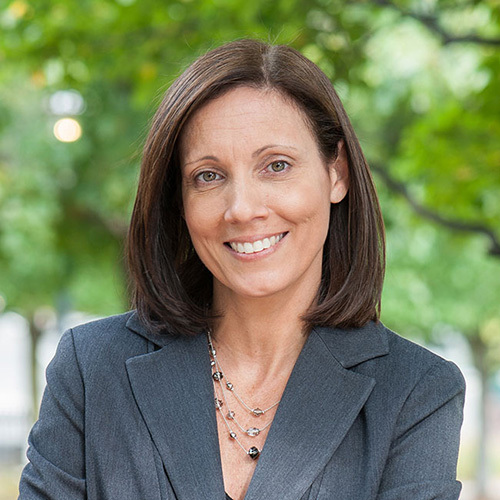 Prior to joining Parker Scheer, Debora was a litigation associate with the firm Zizik, LaSalle & Powers, P.C. At Zizik, LaSalle & Powers, Debora worked primarily on insurance defense claims. As a result of her prior experience, Debora brings an invaluable perspective to her work as a plaintiff’s advocate, providing her clients with an inside view on insurance claims practices and defense strategies. “The Inadequacy of the Voir Dire,” Suffolk Journal of Trial and Appellate Advocacy 81 (2000), which was re-printed by the Boston Bar Association and cited in its Sixth Annual Superior Court Bench Meets Bar Conference on February 27, 2002.